I’ve covered most of these approaches in the past but have purposefully overlooked Outbound Messages. Why? 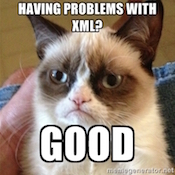 Because, in general, I hate working with XML. Perhaps it harkens back to my SAP days but every time I have to traverse an XML structure, I think a kitten dies somewhere. *You can find all of the code for this application at my github repo. 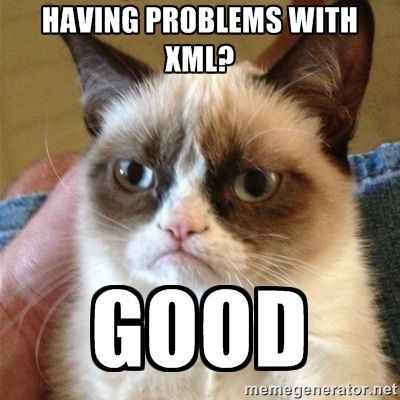 What follows is the interesting part that catches the XML and parses it in routes/obm.js. 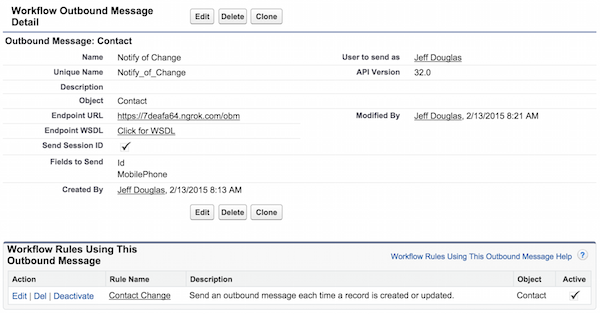 Now we need to setup the Workflow and Outbound Message that will send the data to your NodeJS application. 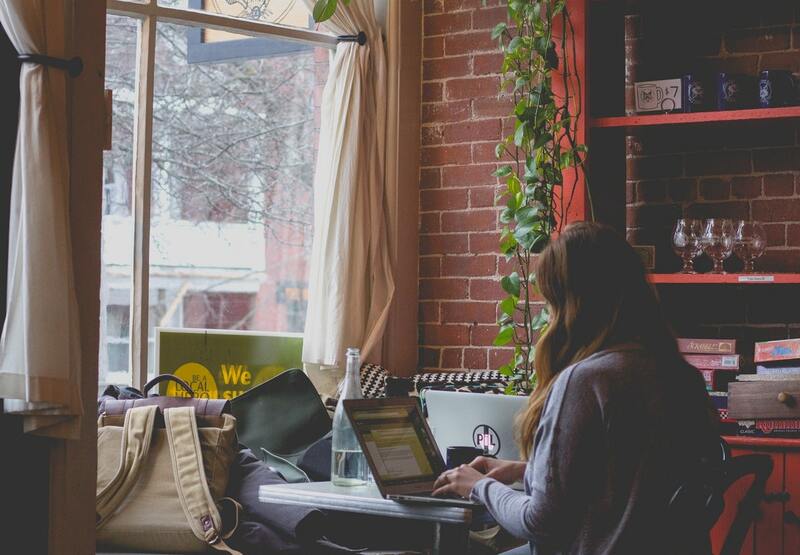 You’ll want to change the Workflow to meet your criteria as this one fires every time a Contact record is created or updated and the mobile phone is not blank. The actual Outbound Message below defines the endpoint (you’ll notice I’m running it locally using ngrok), the fields from the record to include in the message (the record Id and MobilePhone) and finally “Send Session ID” is checked. 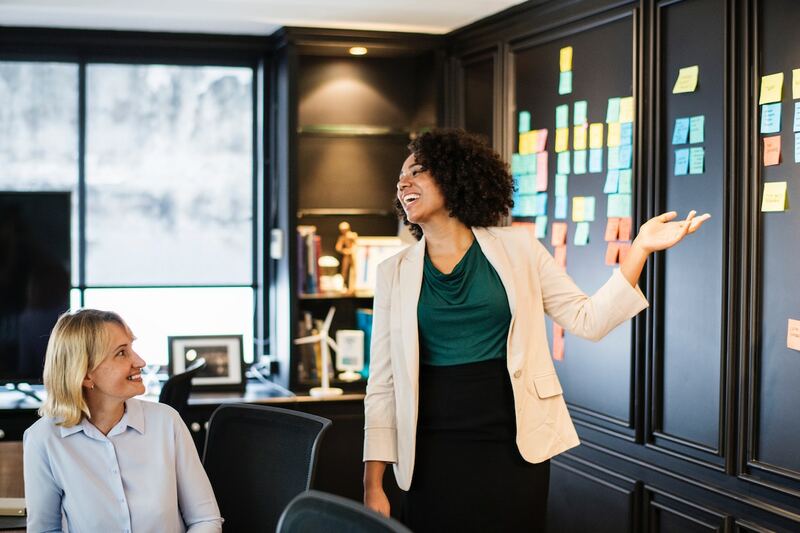 You’ll probably want to include the Session ID so that you can grab it from the message and use it to quickly make calls back into Salesforce using something like nforce. There’s also a mocha test you can run to ensure that the XML is being parsed correctly. 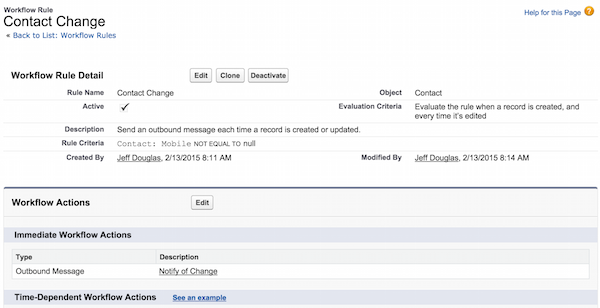 There you have it… a simple NodeJS app to get you started using Outbound Messages from Salesforce.